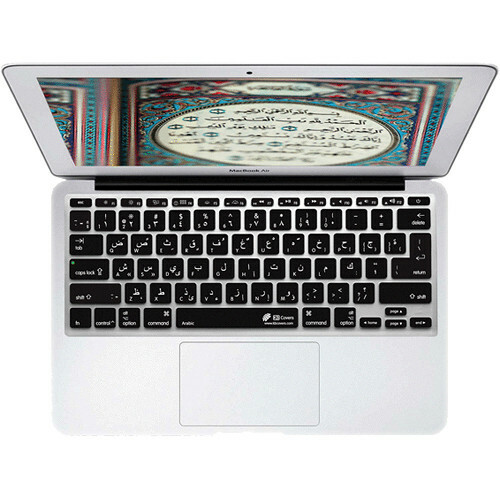 The Arabic Keyboard Cover for MacBook Air 11-inch (Unibody, Black Keys) from KB Covers is a silicone keyboard overlay that makes typing in Arabic easy on your 11" MacBook Air. The ultra-thin overlay is very durable, and it protects your keyboard from damage without hindering your typing. The overlay is easy to clean, and is molded specifically to fit the 11" MacBook Air. Box Dimensions (LxWxH) 12.0 x 5.0 x 0.02"